Energy. During February, 62 municipal buildings and facilities will promote good practice for reducing energy consumption. 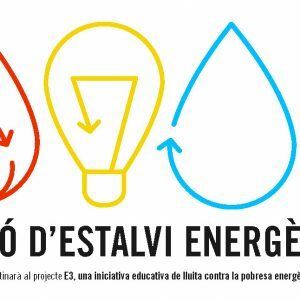 For the second year running Barcelona City Council is taking part in the Energy-Saving Marathon to raise public awareness of the need to reduce energy consumption. The Energy-Saving Marathon is a campaign to raise awareness and encourage good practice in the use and consumption of energy, with the additional aim of allocating the financial savings achieved to defend the right energy. The Energy-Saving Marathon starts on 1 February. This year a total of 62 municipal buildings of various kinds are taking part. They include schools, as well as administrative, sports and cultural buildings. The aim of the Energy-Saving Marathon is to make municipal building and municipal facility users (workers and the general public) aware of the energy they consume (for lighting, air-conditioning and IT equipment) as well as water. By paying attention to how we use energy, we can reduce our consumption a lot with a few everyday actions. For example, by just using a half-flush in the toilet, walking upstairs instead of taking the lift or by programming the right air-conditioning temperature. The aim is for these actions to continue. So the energy-saving actions in Barcelona City Council facilities are intended to set an example of good practice that council staff and the general public can adopt at home. Water and energy are finite resources, so reducing their consumption helps to mitigate the effects of climate change. Last year, despite the fact it was one of the coldest Februaries in the last 30 years, the marathon managed to achieve a 5.8% saving in electricity consumption, 15.6% in water and 18.9% in gas. The saving achieved, once it has been turned into money, will go to E3, an educational initiative in the fight against energy poverty. How does the Energy-Saving Marathon work? Throughout February, 62 municipal buildings and facilities in the city’s 10 districts will be taking part in the Marathon, 15 more than last year, with more schools and sports centres this time. The target is to reduce gas, water and electricity consumption in these buildings by at least 10%. Statistically, February is the month when energy consumption is at its highest, because it is usually one of the coldest months of the year and heating consumption means there is significant energy load. Suggesting that we try to achieve minimum energy consumption this month means more effort and, therefore, implies a bigger challenge that requires more awareness and participation. In order to assess the energy saved, weekly checks will be carried out at each of the facilities and at the end of the Marathon, the consumption at each one will be compared with the February average for the last three years .